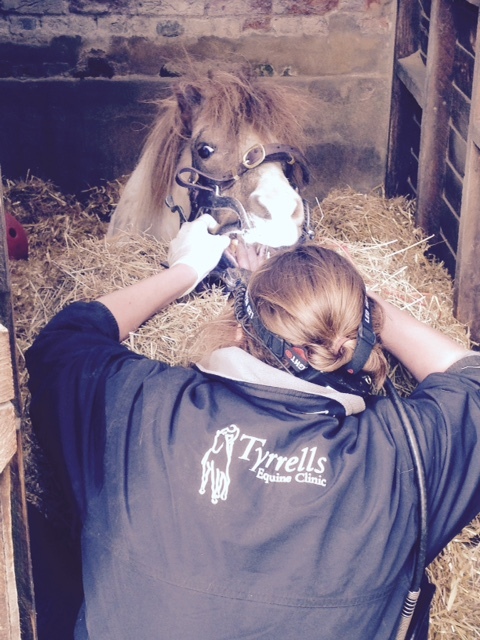 At Tyrrells Equine we are extremely proud of our dentistry services. Our vets are all experienced in dentistry and routinely carry the latest equipment ensuring the best possible finish and minimising risks associated with having tools in your horse’s mouth. Our vets take time to perform a thorough examination of the mouth and teeth using mirrors and picks to detect dental issues which may otherwise go unnoticed. Battery powered diamond burrs are used in conjunction with hand rasps to enable correction of over growths, misalignments and to ensure the best possible finish.